What an unexpected honour to be chosen as one of the five British Flowers Week florists of 2017. Each florist had to make 3 designs and then they were all photographed by Julian Winslow - in pretty harsh, industrial lighting I have to say! 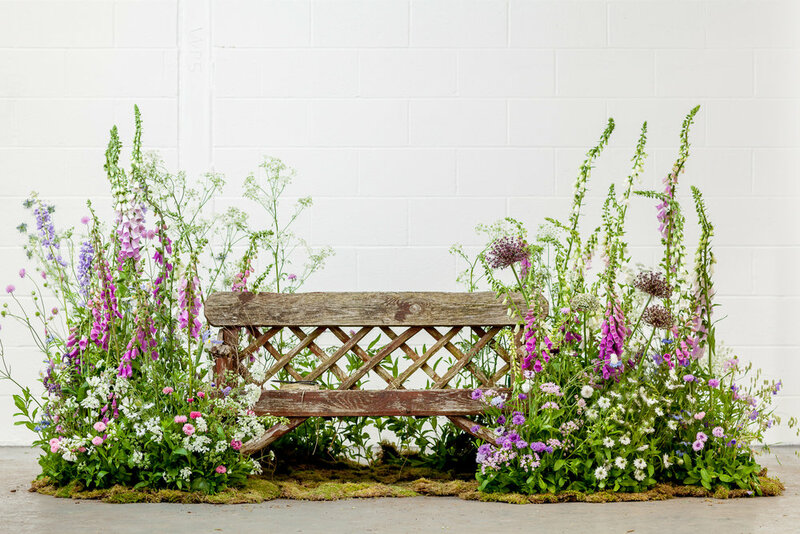 My designs were a bench installation, a large, unruly urn and some delicate buttonholes based on different periods of history. Oh and some bonus pictures of me grinning like a buffoon at the market for your viewing pleasure!